I gleefully announced the location for our 50th wedding anniversary celebration to my beloved yesterday as we were driving past a beautiful park and its boathouse. He didn’t support my choice. No fight ensured, no deposit needed retrieving, the conversation moved pleasantly along. It’s not an issue. We’ll need to celebrate our 20th anniversary next year was before stressing about how to party in 30 years. We agree. We disagree. We’re human, and we don’t always get along. One thing is clear between us, though, we are so in love. golden eagles, condors, swans, brolga cranes, French angel fish, sandhill cranes, pigeons, prions (a seabird), red-tailed hawks, anglerfish, ospreys, prairie voles (a rodent), and black vultures] do mate for life in the social sense of living together in pairs but theu rarely stay strictly faithful. About 90 persent of the9,700 bird species pair mate, and raise chicks together--some returning together to the same nest site year after year. Males, however, often raise other males' offspring unknowingly. DNA testing reveals that the social pair maile did not father 10, 20,and sometimes 40 percent of the chicks. 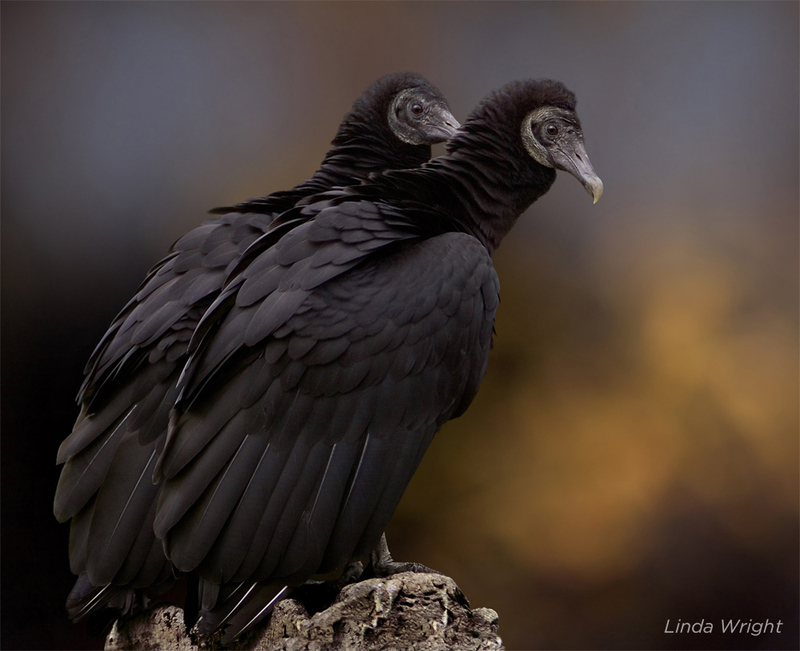 Black vultures, though, discourage infidelity. All nearby vultures attack any vulture caught philandering. My beloved and I are going out like a pair of black vultures. We have the benefit of having been raised in a marriage culture. Long, successful marriages are the standard within our families, and we acknowledge this blessing. Studies suggest that couples are 40% more likely to divorce if their parents did, according to Nicholas Wolfinger in a study entitled, “Understanding the Divorce Cycle” published by the Cambridge University Press in 2005. The odds are in our favor. Fortunately, we don’t need the odds. We’ve got God. We are so in love, but we work at our marriage, treasuring it, keeping it safe, protecting it, nurturing one another. It’s work, but in our case, and we acknowledge the blessing, it’s a labor of love. So, my beloved and I are going out like a pair of black vultures. I don’t know if our village (read “all nearby vultures) would necessary attack, but I think I’d like to think so. It means our union matters, and that is reason to be proud. Our union matters, and it is strong. I am so in love (him too). More than enough reasons today to remember that God is good.